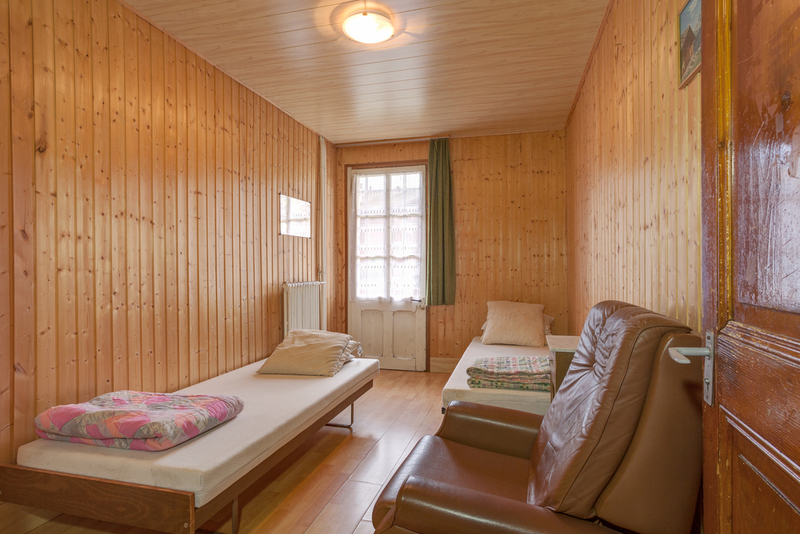 Low-cost group accommodation in Champery, Switzerland. Centrally located with easy access to shops, ski lifts, sports centre and train station. Sleeps 46. Self catering. A classic, rustic, big chalet situated in a large garden, close to train station, cable car, sports-centre, mountain trails and shops. Ideal all year round for small & large groups, families & individuals such as climbers, hikers, wanderers, mountain bikers, skiers, swimmers, tennis and ice hockey training, skaters, curlers and all cultural, musical, social & sporting clubs, by the week or a few days. Especially suits arriving by train, the elderly who want tranquillity and calm, or younger who want to party. Closest chalet accommodation to Champery train (100 m.), with easiest access from Geneva or Zurich airports and European highways.